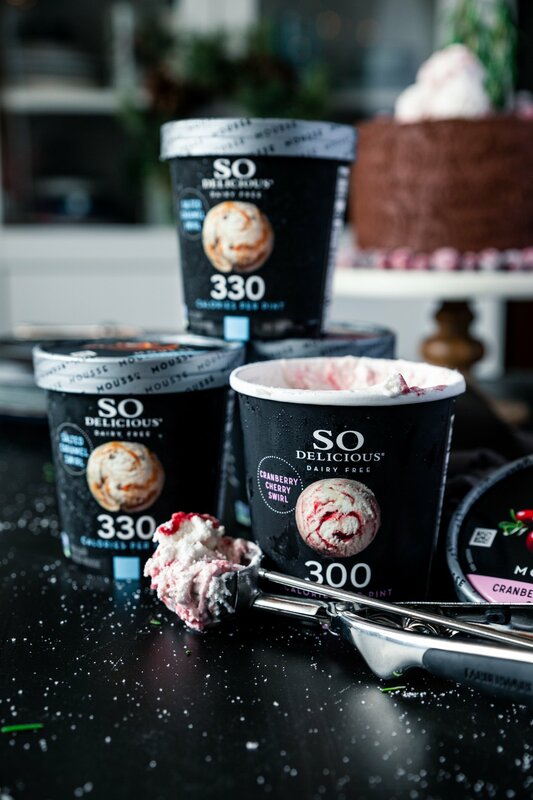 The following post is sponsored by SO Delicious. All recipes and opinions are 100% my own. This post may also contain affiliate links, Purchasing through these links help support this site. 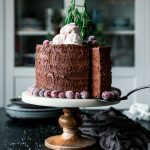 Easy recipes beware, this super simple and amazing VEGAN double chocolate tree stump cake is taking the dessert world by storm! Grab a slice and enjoy! Cakes always seem so intimidating, I know. 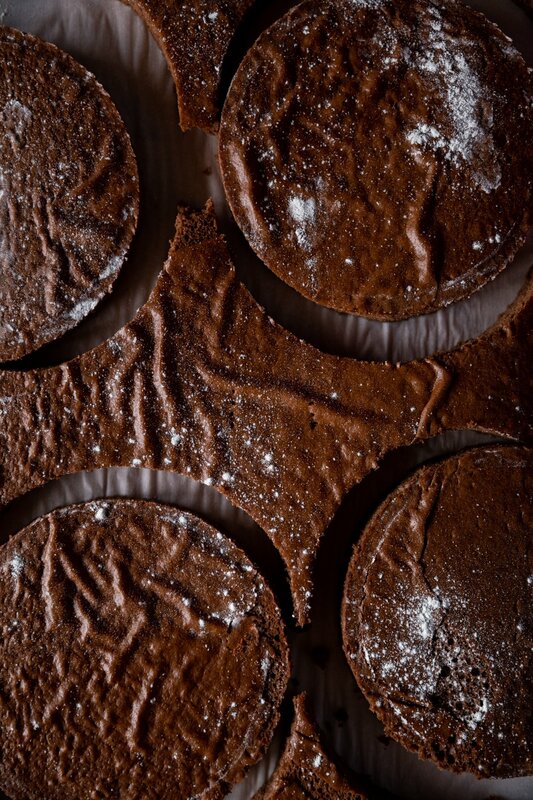 Baking, cooling, stacking, frosting, making them look pretty…who has time for that? 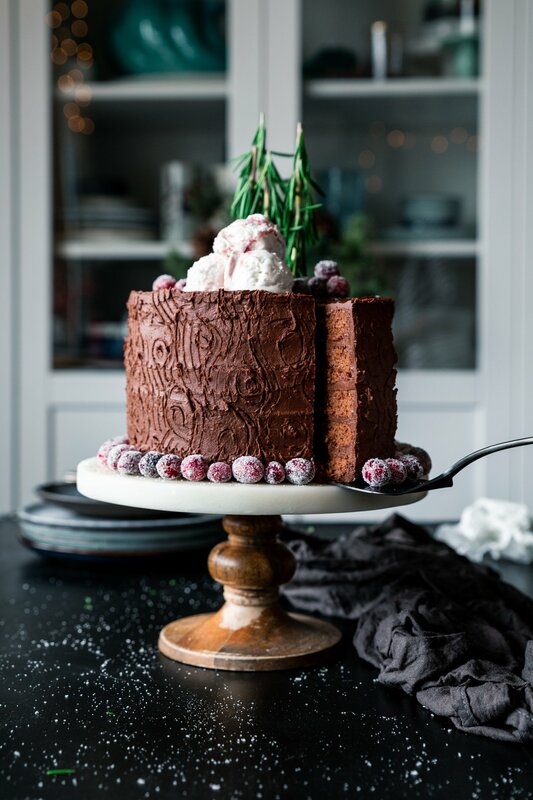 But seriously, this double chocolate tree stump cake is an easy recipe for dessert that you’re going to love. Just look at it. So scrumptious. So decadent. So kind. This crazy delicious cake is vegan! And you’ll never know the difference, that is how delicious it is. And don’t forget to scoop some SO Delicious Dairy Free Frozen Mousse on top before you serve it. What’s cake without ice cream, right? So how can you have a vegan treat without some dairy free noms on top? Making a cake vegan really isn’t all that big of a challenge. Simple swaps put you right where you need to be! Use canola oil instead of butter! Grab some non-dairy milk like cashew or almond instead of milk or buttermilk! Add a little apple cider vinegar to get the proper acid/base ratio. I used the Momofuku style for this cake by baking it in a 13×9 pan and using 6-inch rounds to cut out the layers. Almost no leveling domes required! Similar to the cake, making frosting vegan isn’t a huge challenge either! Instead of using regular butter, grab some vegan butter (which is essentially margarine). Use vegetable shortening for added stability, using a 1:1 ratio for creamy perfection. Grab the same non-dairy milk instead of traditional milk or whipping cream. The one thing I really do not recommend when it comes to making the frosting is using coconut oil. It melts at room temperature, so keeping a stable frosting can be really difficult with coconut oil, and if you keep it in the fridge it turns into a rock. Now you have an easy recipe that’s so kind, and who can’t get behind that? 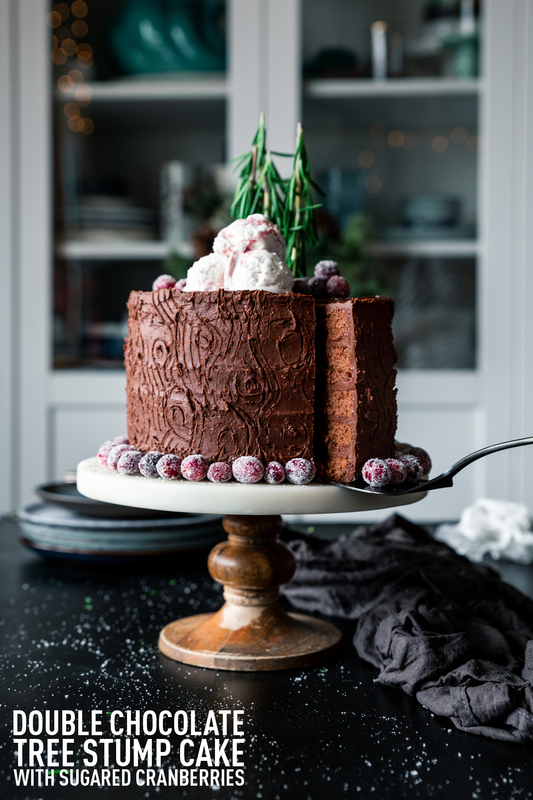 I love serving this cake with some SO Delicious Dairy Free Frozen Mousse, especially the Cranberry Cherry Swirl or Salted Caramel Swirl. The flavors pair so perfectly to me! Have you tried SO Delicious Dairy Free Frozen Mousse? You guys. I am obsessed. It’s so light and airy, just like a true mousse, but frozen, which is just a whole new level of awesome. And those swirls of nom?! HELLO?! You may remember those famous Black Jack Cherry Bars I made a while back using SO Delicious, and I just love how there are so many options for your taste and mood. But totally decadent, all the same, as it should be. 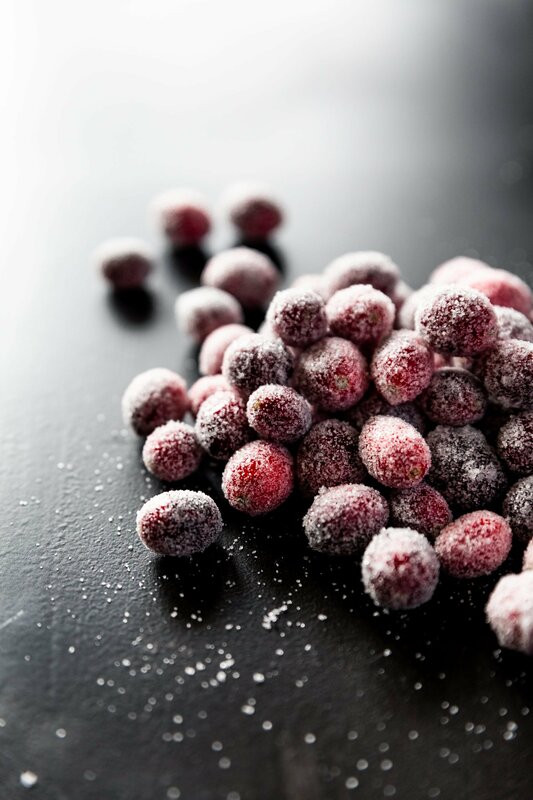 We were talking about sugared cranberries the other day over on Instagram and had a lot of fun going over the process to make them, which is a lot simpler than it seems! Just soak in a 1:1 ratio simple syrup! If you want to cut the sour of the cranberries to make them more palatable, soak them covered in the fridge overnight. When it comes time to roll the cranberries, work in batches, drying them between paper towels first until they are just tacky instead of wet. A small mesh cooling rack works really well for letting them dry after rolling. Once they are pretty solidly dry, I just pop them in a dish and set them aside to use as needed. Like on this cake. 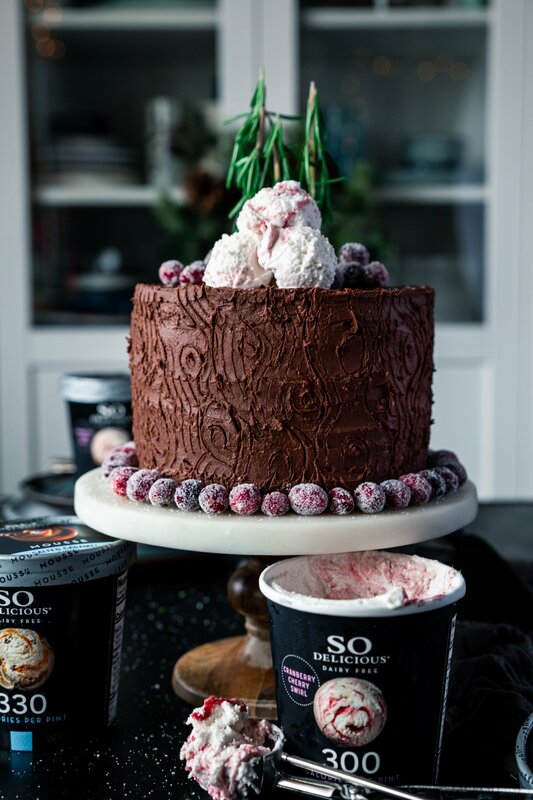 What treat are you whipping up this holiday season with the new SO Delicious Dairy Free Frozen Mousse? 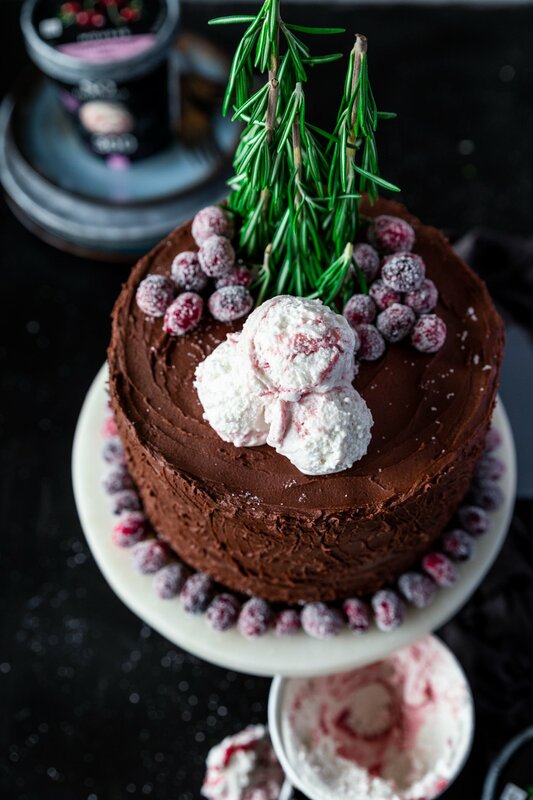 Will you try this amazing double chocolate tree stump cake? Preheat oven to 350 degrees. Prepare a 13x9 inch pan by spraying lightly with cooking spray and lining the bottom with parchment paper. In a large bowl whisk together all of the dry ingredients and set aside. In a medium bowl whisk together all of the wet ingredients, then pour the wet ingredients into the dry ingredients and mix until just combined. Do not over mix. Pour the batter into the baking pan, then place it in the oven and bake for about 40-45 minutes or until a toothpick inserted into the center comes out clean. Let the cakes cool completely, then use a 6-inch round pan to cut out two complete circles and two half-circles for a 3-layer cake. 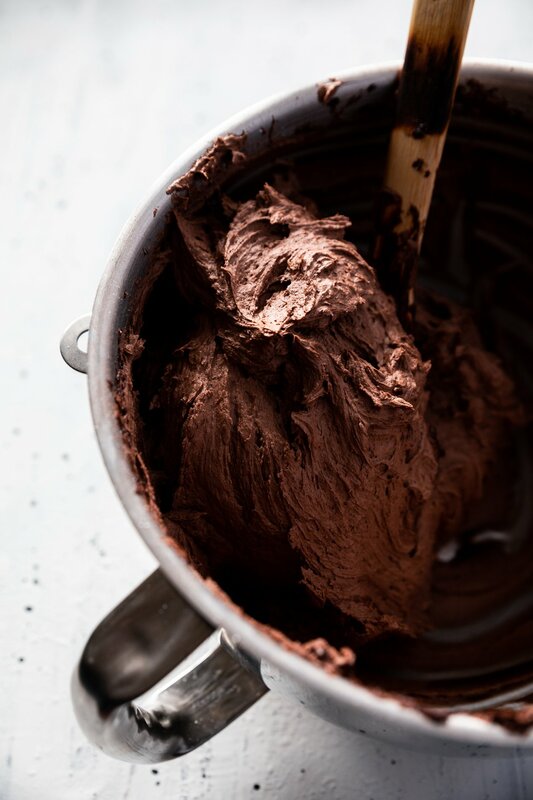 Add all the frosting ingredients except the non-dairy milk to a large mixing bowl and beat until light and fluffy, around 5 minutes. Scrape the bowl occasionally to ensure all the ingredients are well-mixed. If the frosting is too stiff, add the non-dairy milk 1 tablespoon at a time until desired consistency is reached. Frost the cake as desired. * Serve with SO Delicious Dairy Free Frozen Mousse and enjoy! 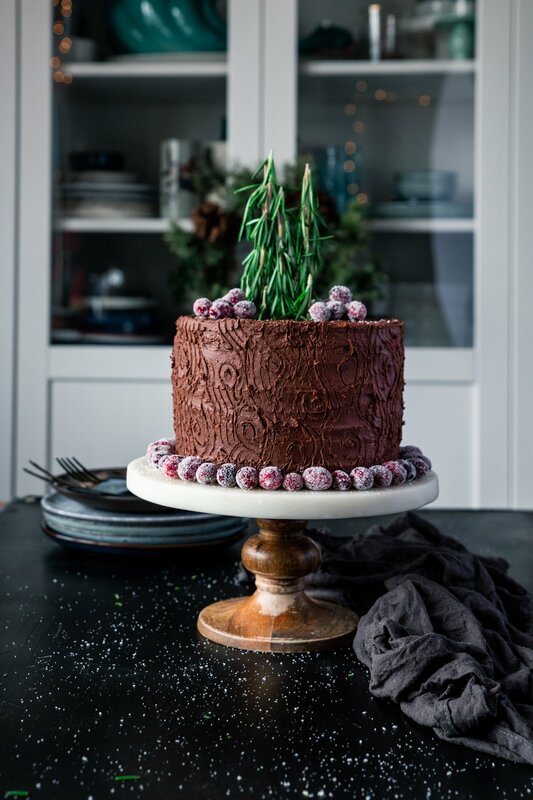 *To make the cake look like a tree, use a toothpick to draw irregular circles in random spots all around the cake, then use a fork to draw lines between the circles to give it the appearance of bark. 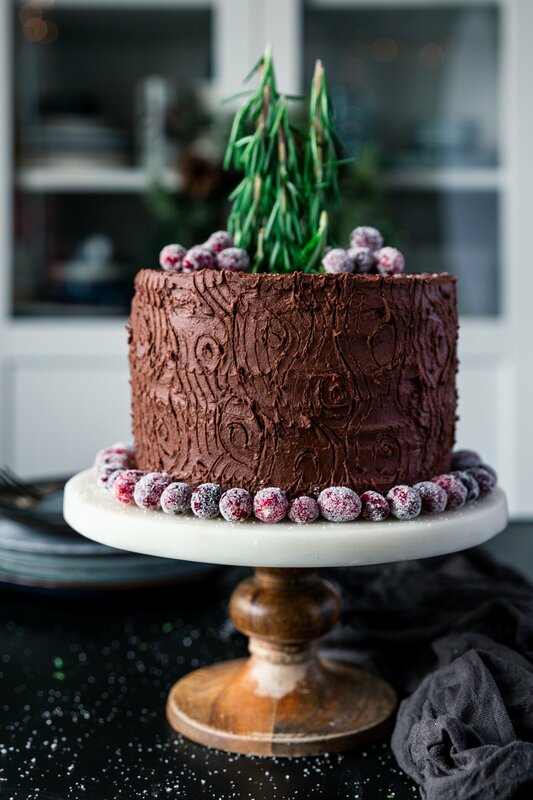 Use fresh rosemary to create "trees" on the top of the cake, and garnish with sugared cranberries.